In 50/50 partnership with GPS Marine we jointly operate Ramsgate Slipways. The site is undergoing investment. 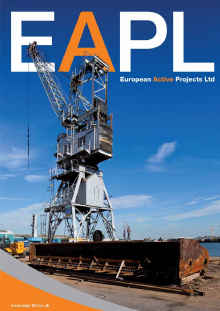 The site is supported by EAP Ltd’s workshop in Chatham; where facilities include major fabrication space and also numerous machine shops. For all operational enquiries please liaise with Andy Corbett on T: +44 7940 731 558 or Jim Barrett on 07710 596 307.